The Royals moved to the larger, brand-new Rochester War Memorial for the 1955-56 season and hosted the sixth NBA All-Star Game in 1956. But their time in the Flower City was drawing to a close; the team moved to Cincinnati and later to Kansas City-Omaha before winding up as the Sacramento Kings. 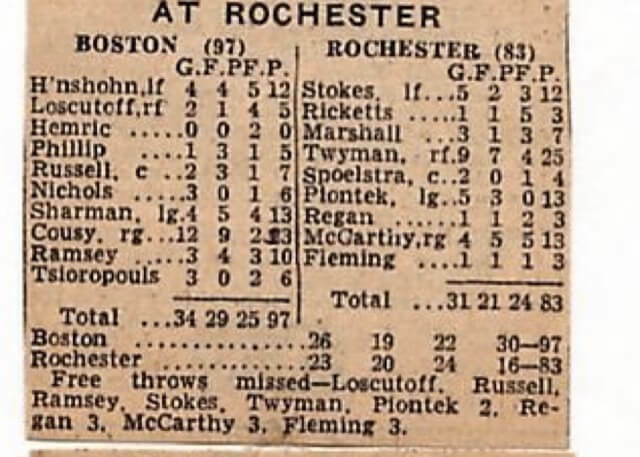 The Rochester team remains the only one in franchise history to win the NBA championship.